SportsBetting is tailored for US and Canadian players by offering all the most popular North American sports. NFL, NHL, NBA, MLB and other iconic American sports are all part of the package at SportsBetting. But besides that they also offer a range of European and other worldly sports, so the online sportsbooks is a good choice if you come from other territories across the globe. You can place bets on some of the following sports markets as well: Soccer, Tennis, Rugby, Golf, UFC, Cricket, Future and Props, among lots of other sports options. The online sportsbook has a special Horse Racebook that offers regular betting markets on horse races – on the site this can be found under a different section from the “regular” sports. Overall, SportsBetting has a little less than 20 sports markets, which doesn’t quite put it in the same rank as some of the heavy online sportsbooks. SportsBetting has some of the best bonuses and promotions in the online sportsbook industry. 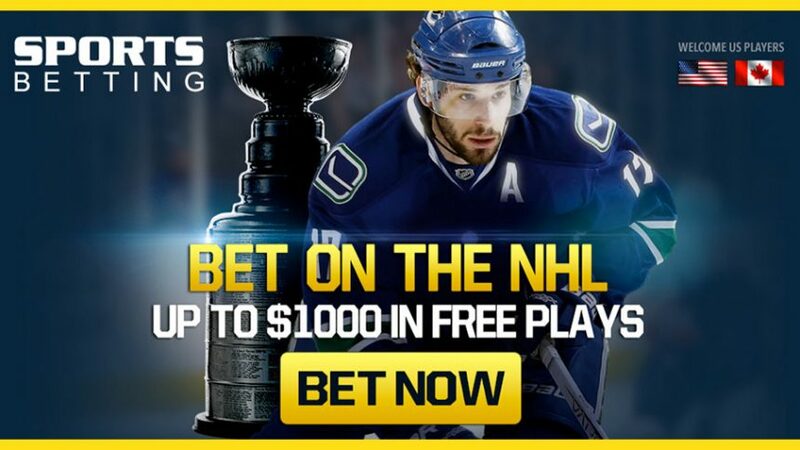 When you create an account with SportsBetting, you’ll be offered a Welcome Bonus of 50% up to $500, while their Bonus for Life can see you get an additional 25% up to a whopping $1,000! And that’s not all! The promotions at SportsBetting are very unique and can really make a difference when you’re betting on any one of the markets. When you’re betting In-Play (during an active game), then we suggest you use the Live Betting promo that consists of $25 Free Play. And if you’re constantly in a rush, which means that you’re playing on your mobile devices, then the $50 Free Play Mobile Bonus can give you some extra incentives. One of the apparent downsides of SportsBetting is the absence of information about their owners or where they obtained their sports and gaming licenses from. This info can’t be found on the site, but so far there has been no indication of wrongdoing on their part. All your money transactions will be carried out safely and promptly when you’re betting with the online sportsbook. SportsBetting offers a full range of depositing options so you can make transfers any way you like. Besides SportsBetting Review, check out our other online sportsbook reviews to discover other popular online gambling destinations. Take a look at the detailed online betting guides and online sportsbook bonuses for winners! You can also follow the latest online sportsbook bonuses and online betting promotions on Twitter and Facebook.